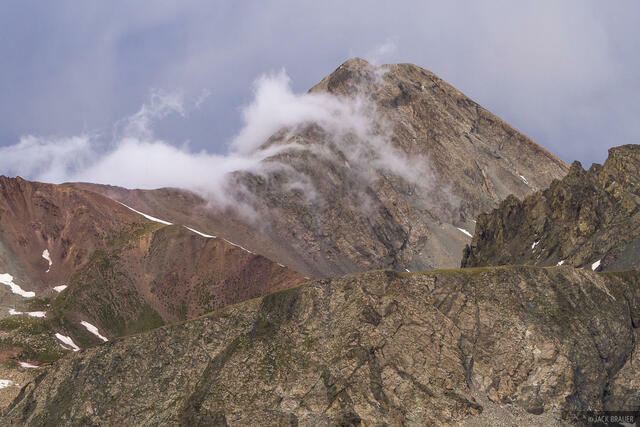 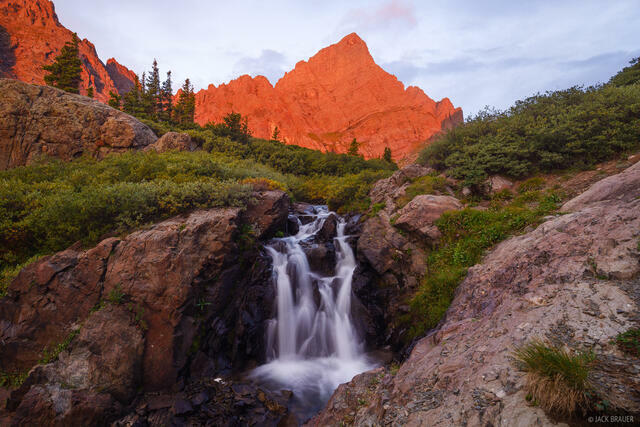 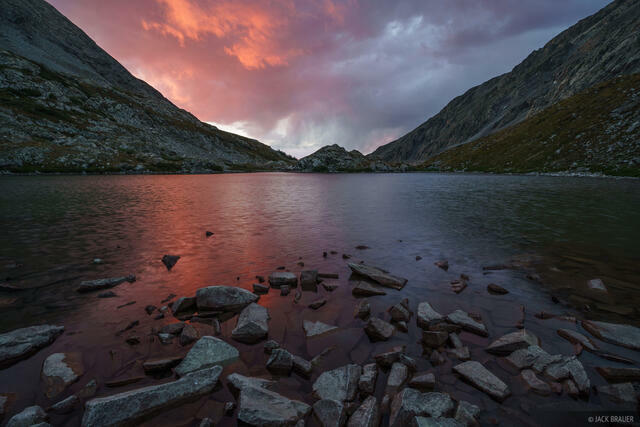 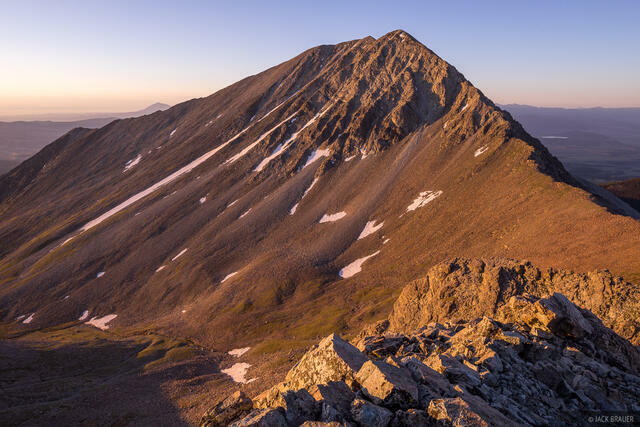 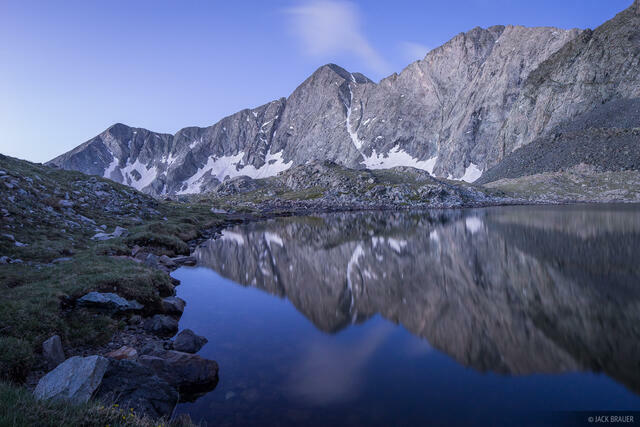 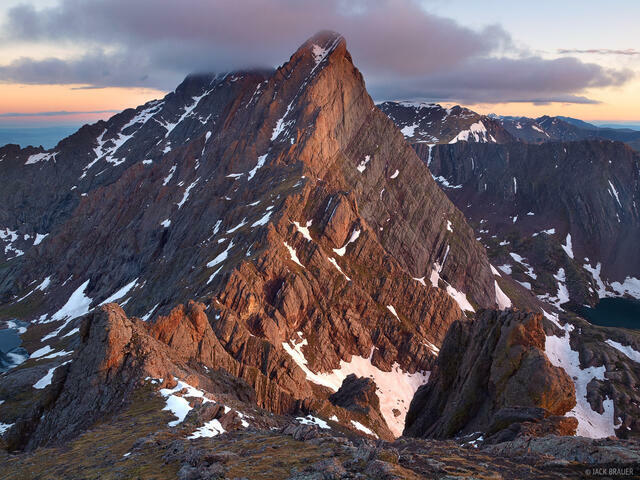 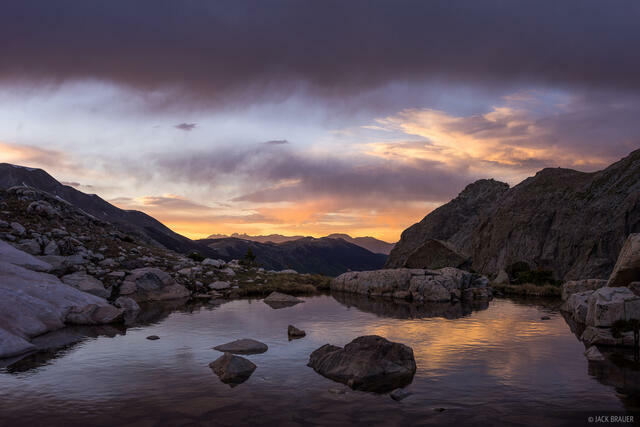 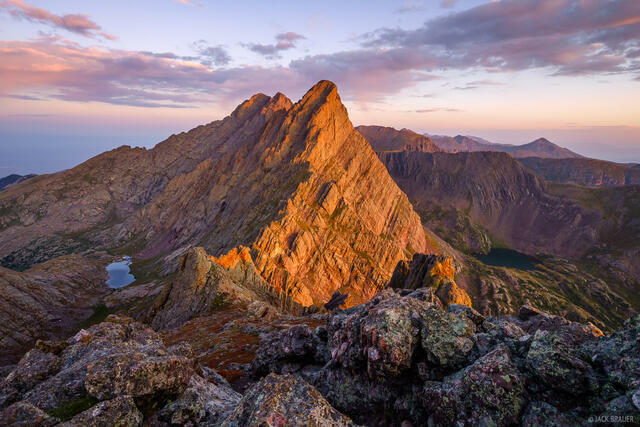 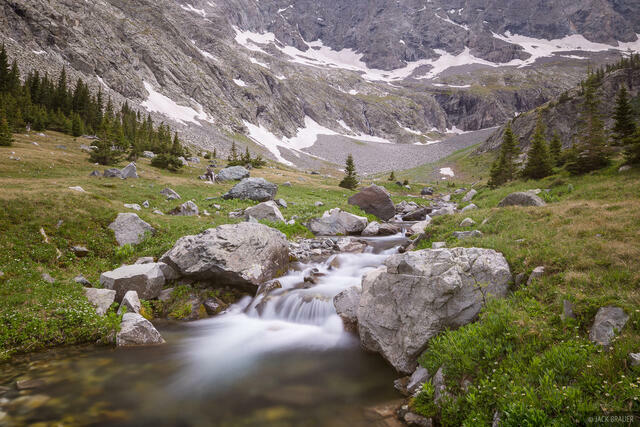 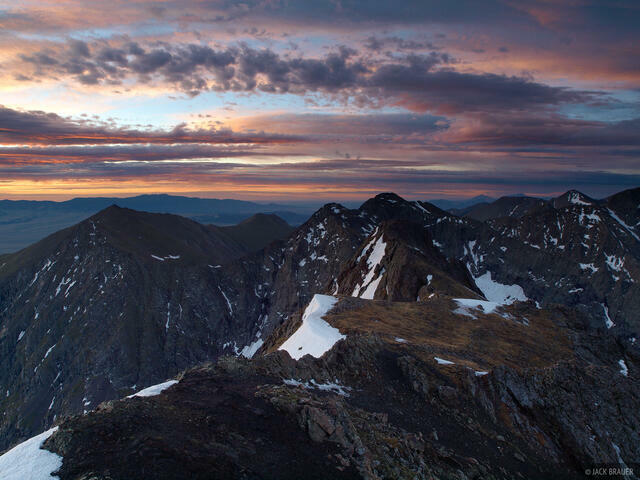 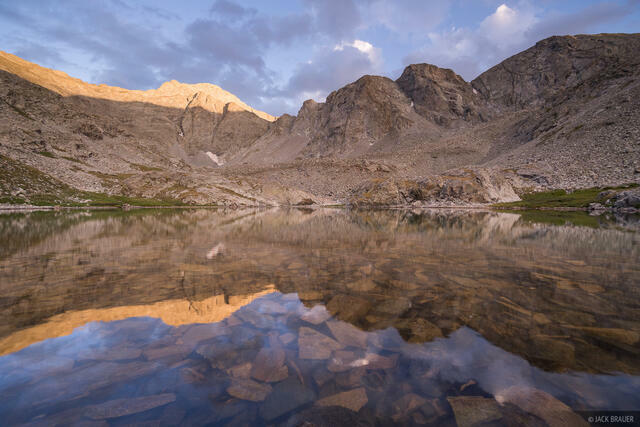 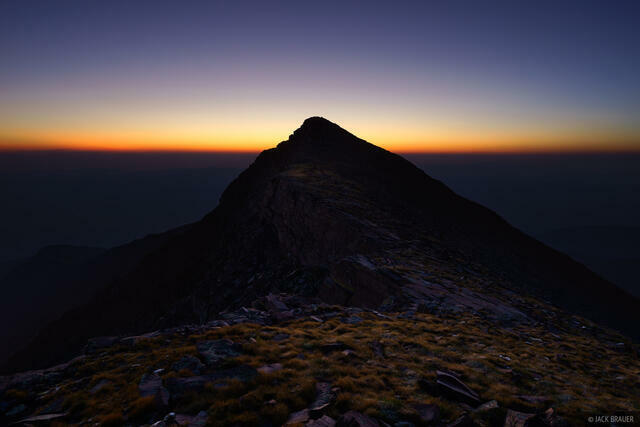 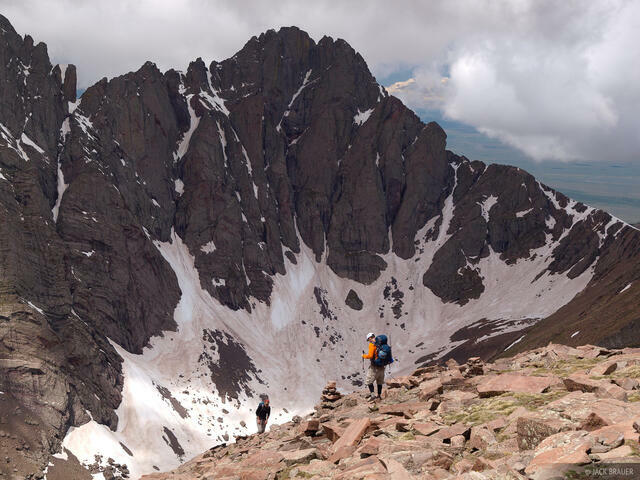 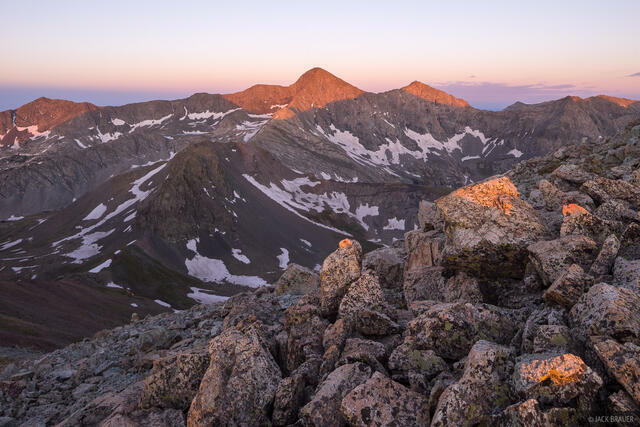 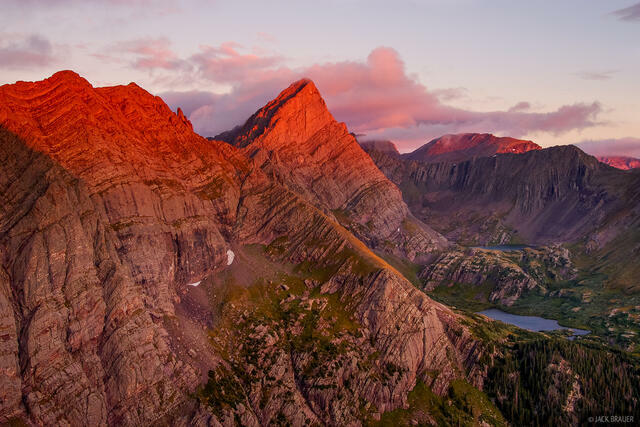 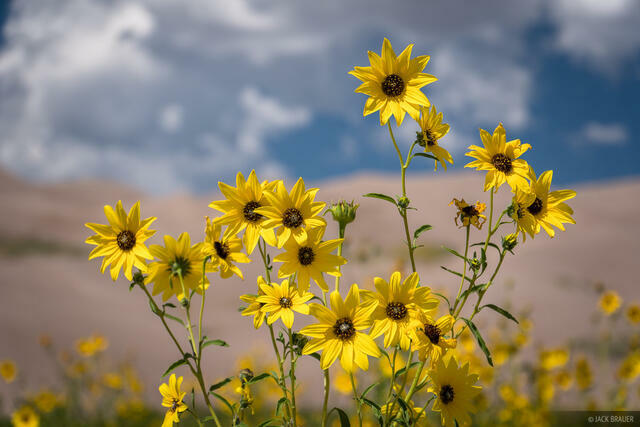 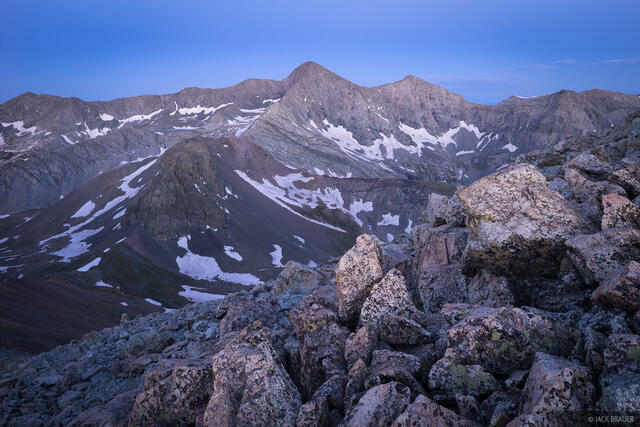 The Sangre de Cristo range is located in central southern Colorado, and stretches down into New Mexico. 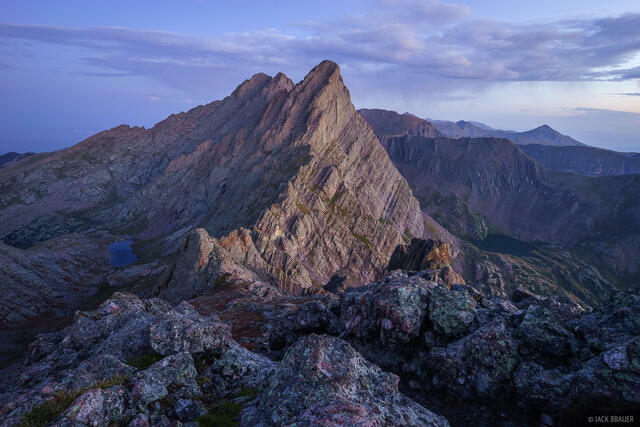 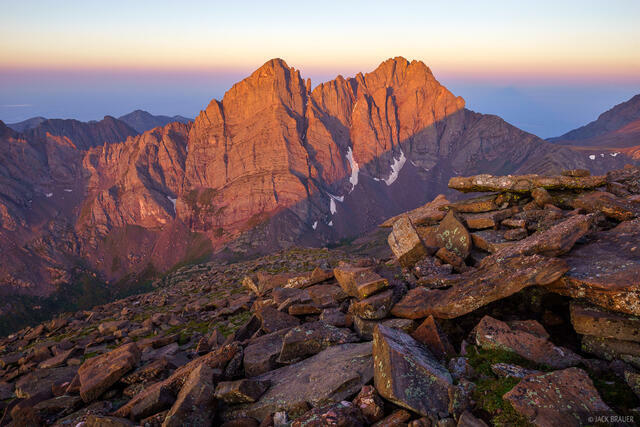 This is one of Colorado's few fault-block ranges, geologically similar to the Tetons or Sierra Nevada. 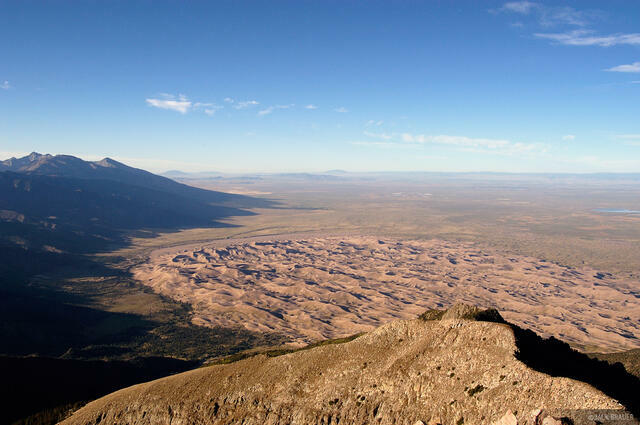 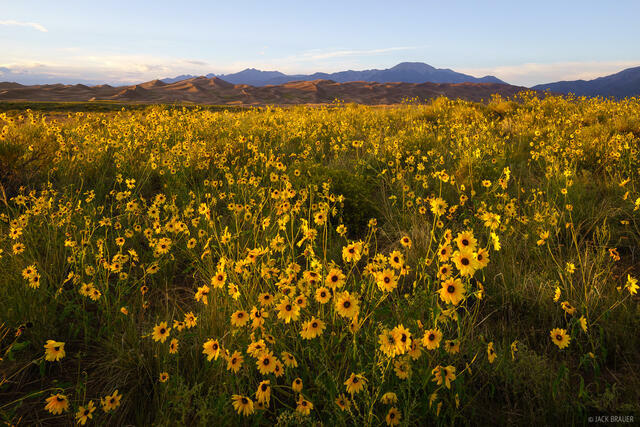 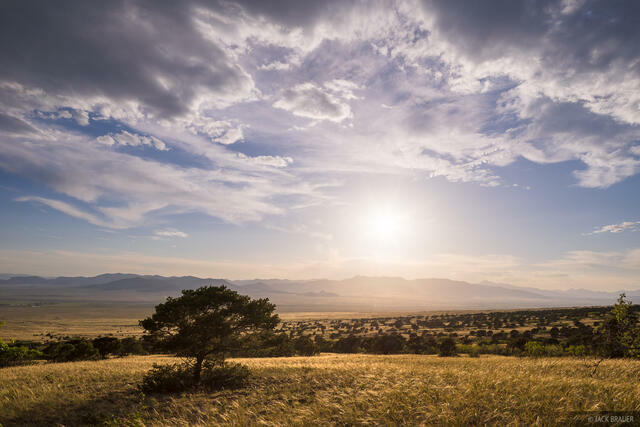 This straight and narrow range rises abruptly over a vertical mile from the San Luis Valley to the west. 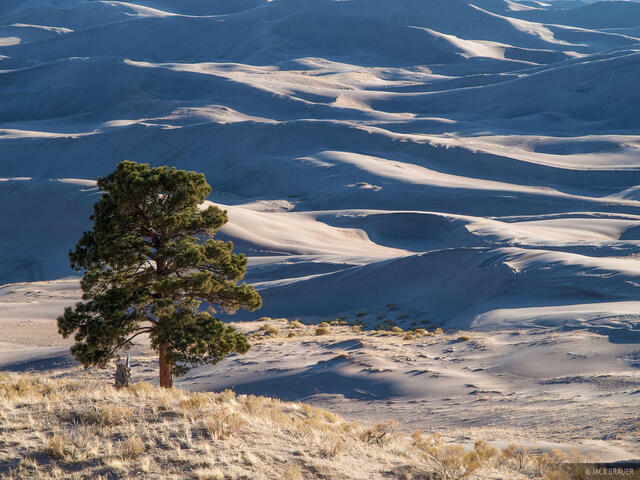 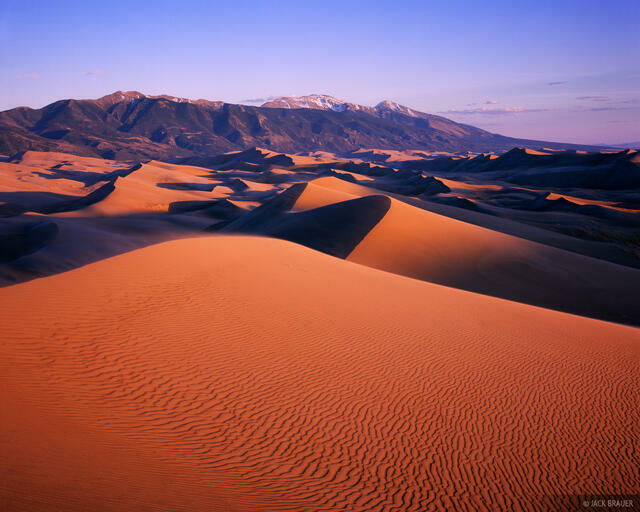 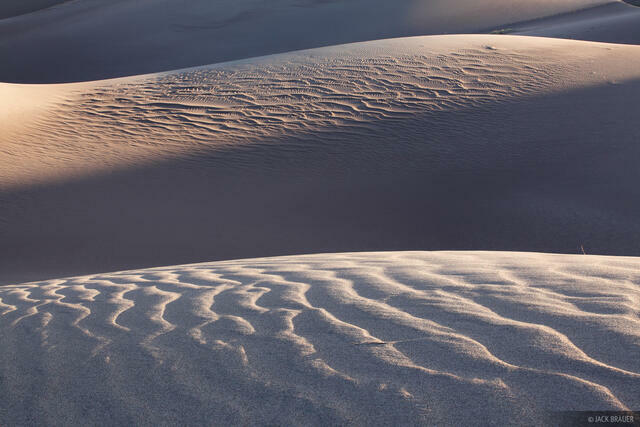 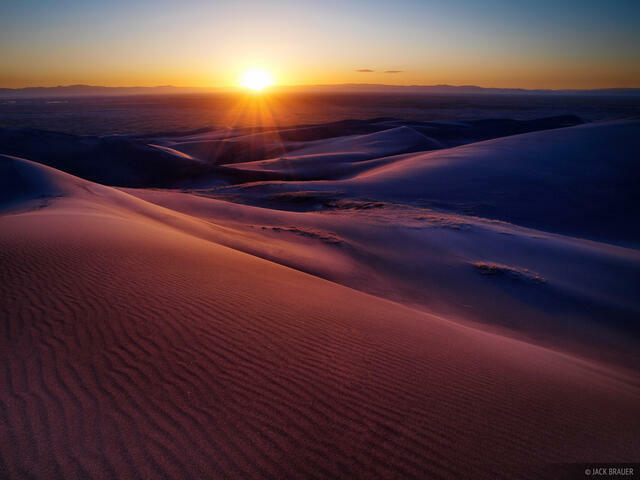 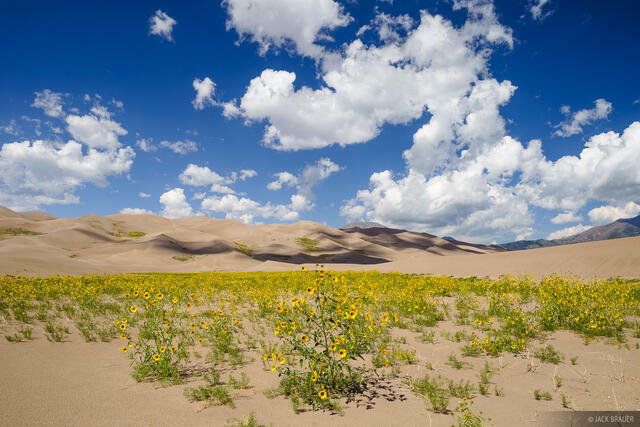 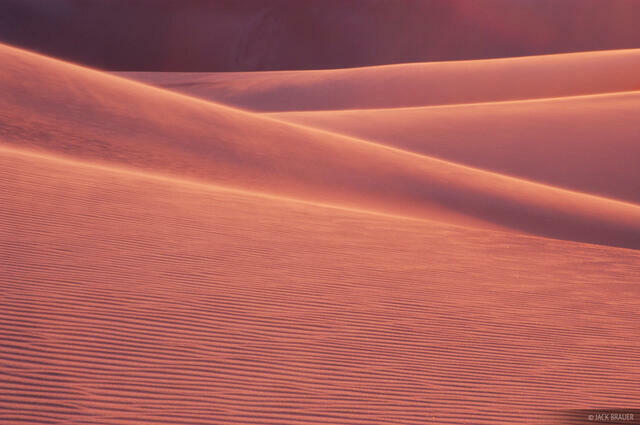 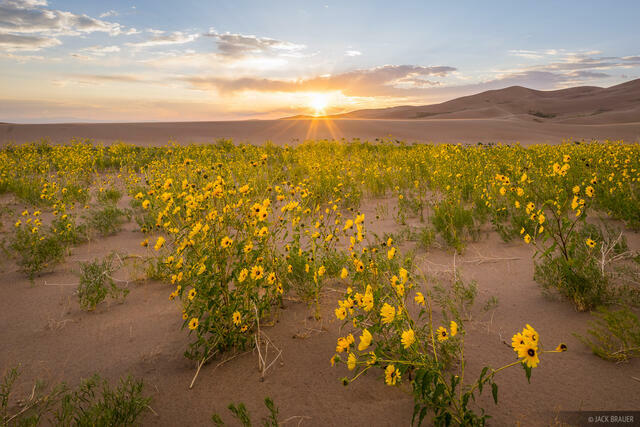 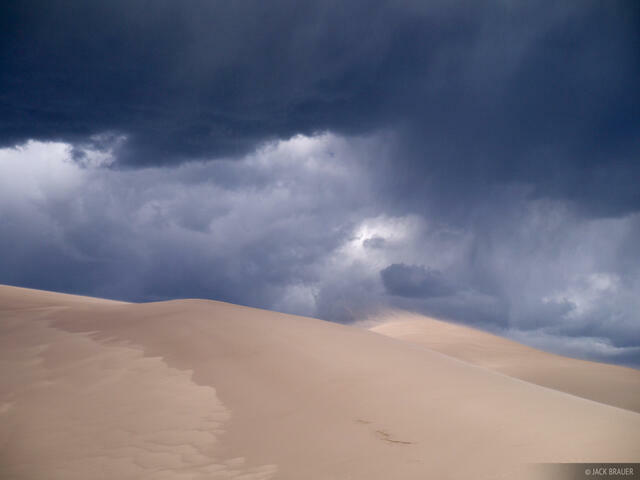 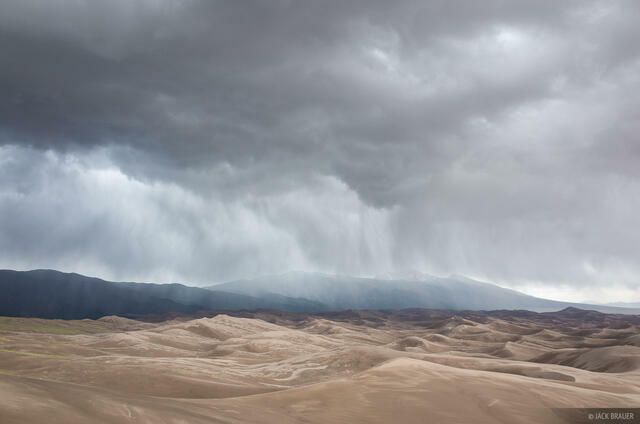 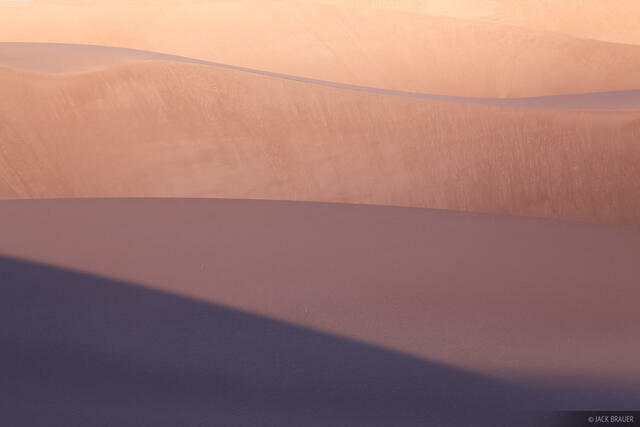 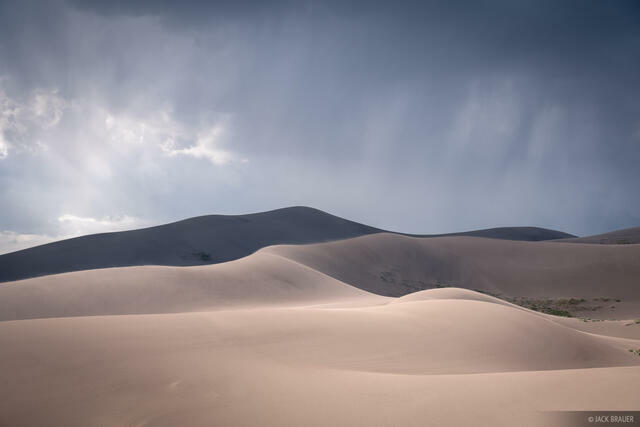 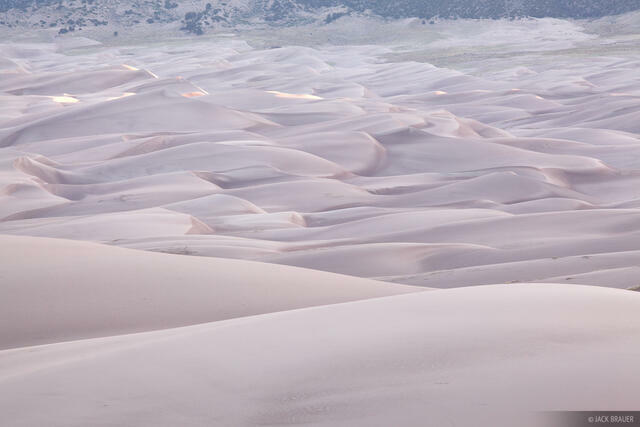 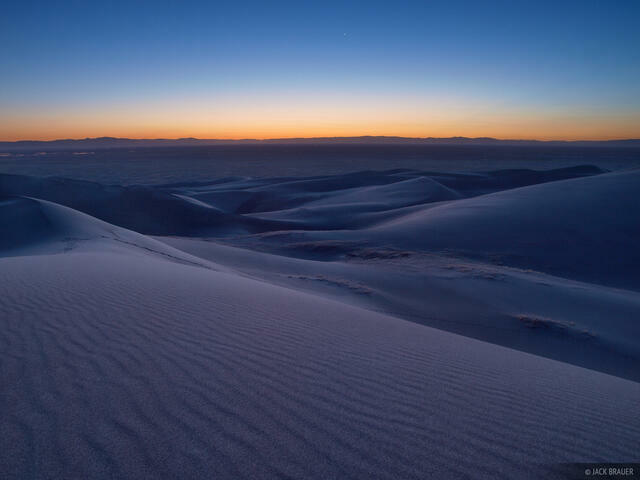 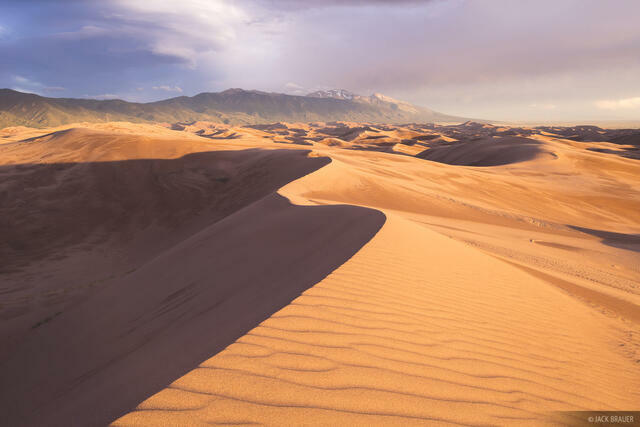 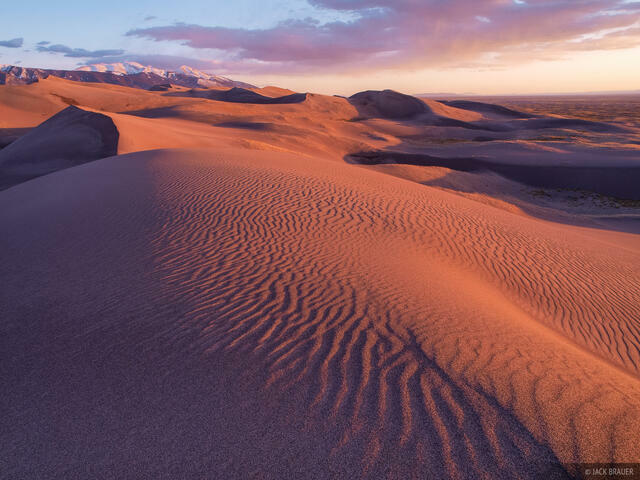 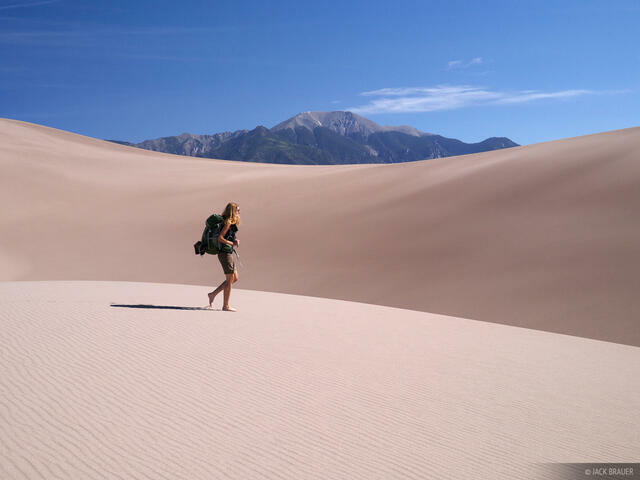 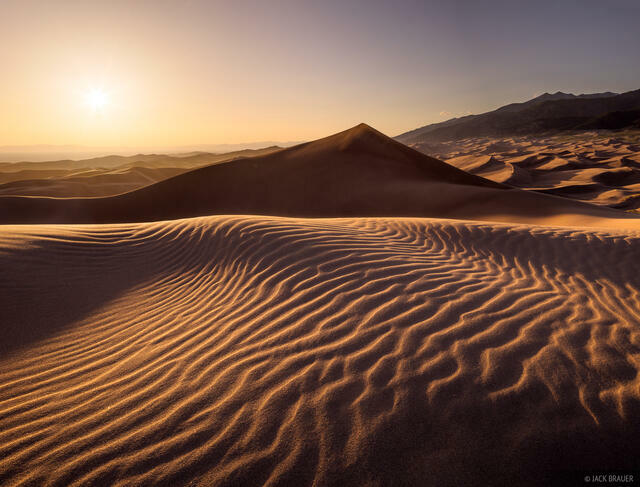 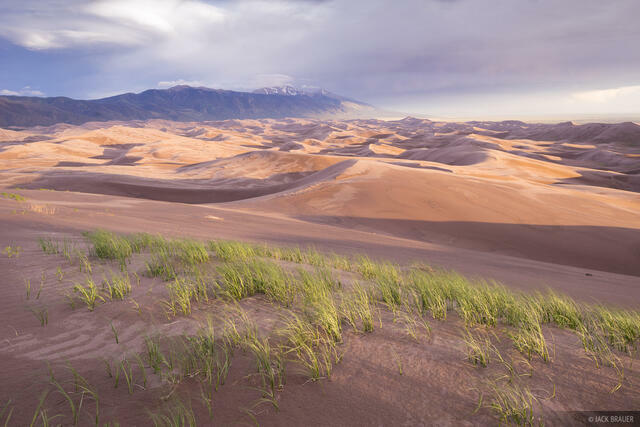 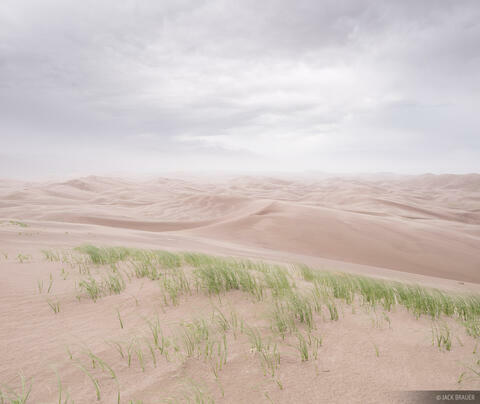 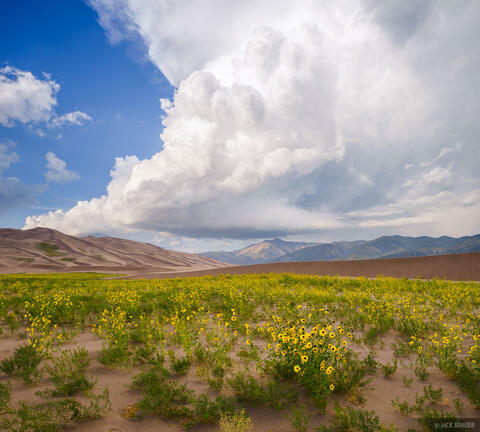 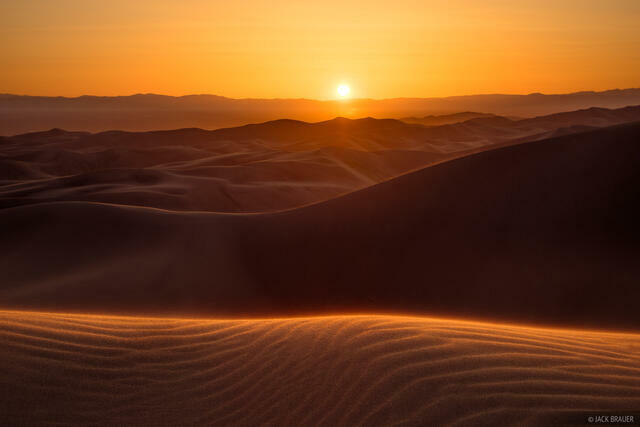 Winds blow across this desert valley and deposit fine sand particles below a low pass in these mountains, forming the spectacular Great Sand Dunes, North America's tallest dunes. 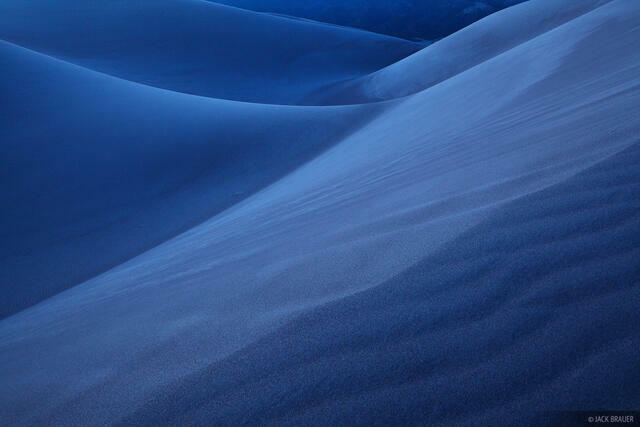 Rivers flow out of the mountains and around the dunes, containing them in one spot. 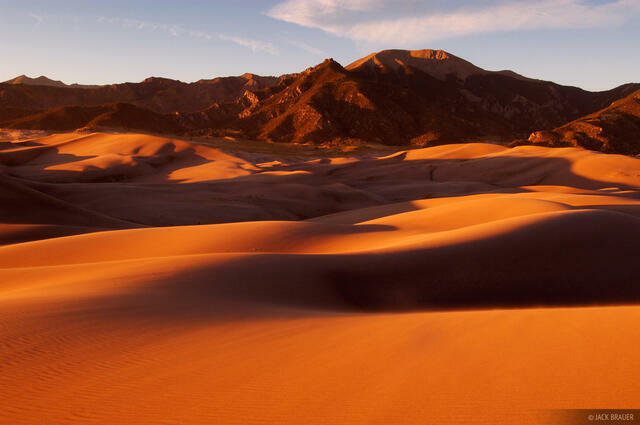 This is truly one of North America's most special places.